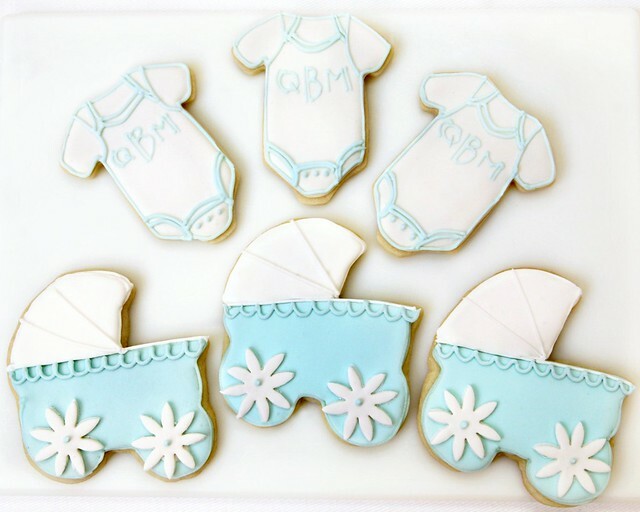 I made some onesie and carriage cookies for a baby shower for Kelly -- a family friend who I grew up across the street from! 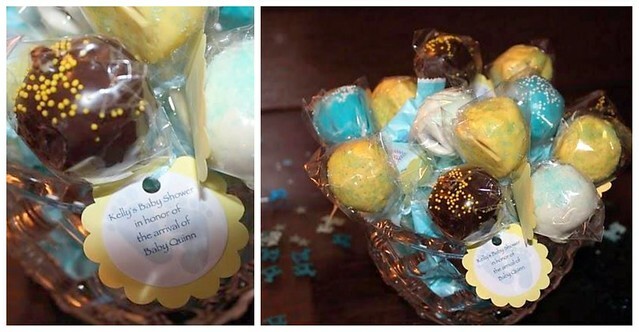 Kelly is expecting a BOY and has already picked out a great name -- Quinn Michael Bunch. 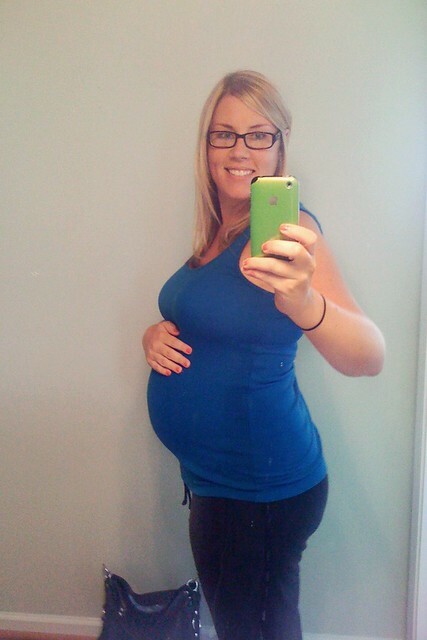 Here's Kelly at 30 weeks looking adorable. (Photo borrowed, er stolen, from Facebook!) I just know she is going to a wonderful (and HILARIOUS) mom. 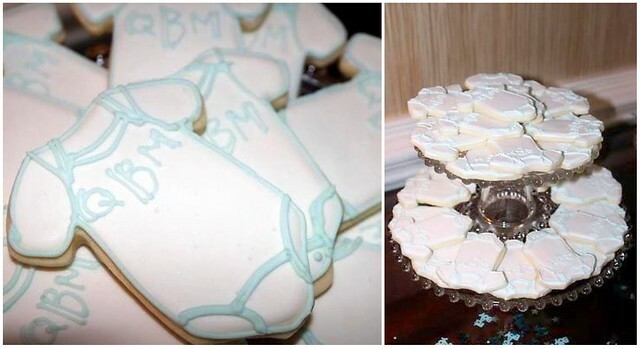 Kelly's mom, Laurie, got in touch with my mom and I about surprising Kelly with some cookies for her shower. OF COURSE I was very excited and happy to make them something special. 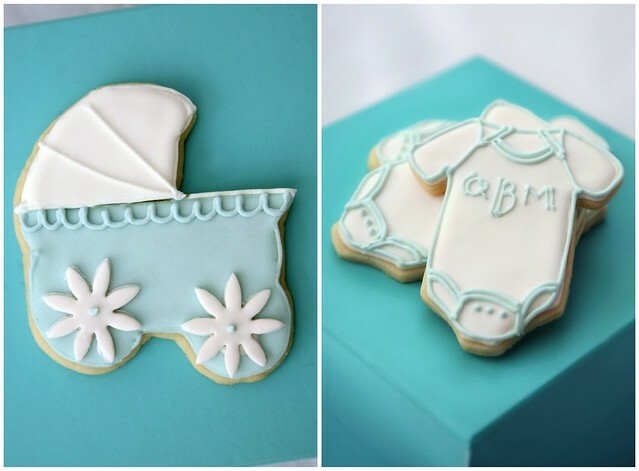 Laurie liked the idea of putting the baby's monogram on a onesie cookie and having baby carriages to be individually wrapped as the baby shower party favors. Cole helped to sketch out a monogram for me to copy onto the cookies. I loved the double line thingy he did on the letters. It matches with the onesie "stitching" pretty well, don't you think? I shipped the cookies to Charlotte, NC from SF and I'm told they arrived in perfect shape, which makes me very happy. I have been hoarding all the bubble wrap and boxes from our engagement presents for just such a cookie-shipping-occasion. 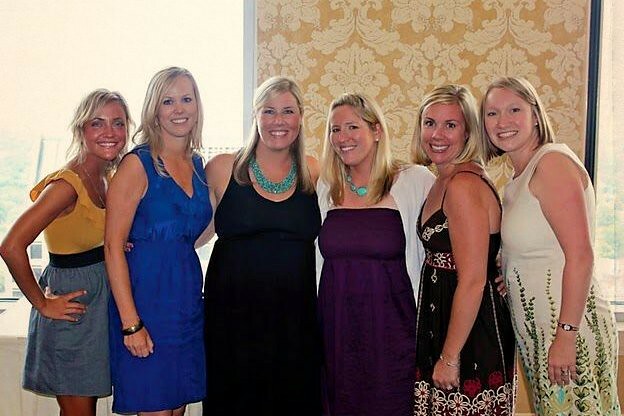 I'm so happy for Kelly and can't wait to see photos of Quinn soon! Thanks again, Laurie, for asking me to make these cookies! 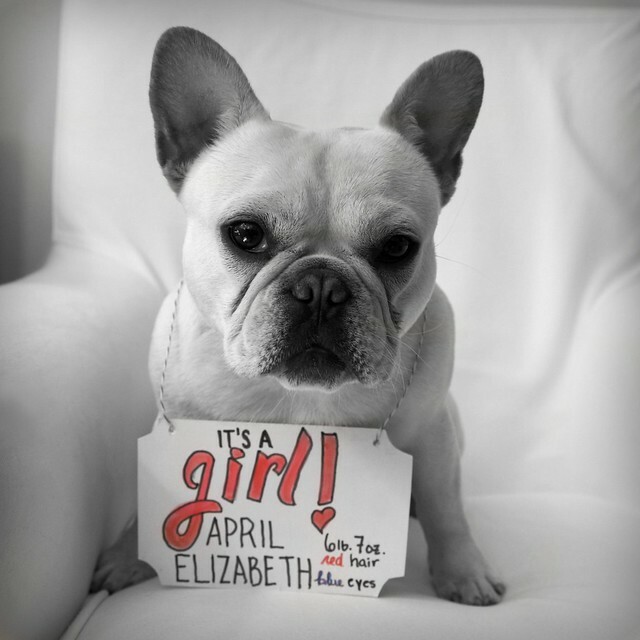 Oh, and P.S., Kelly -- Georgia would be happy to help you cook up Quinn's birth announcement for Facebook like the one she did for April. Seriously, she's pumped about this. Just look at her. 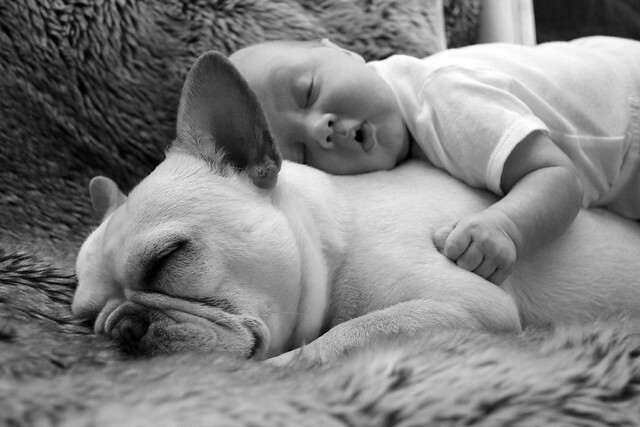 Also, she dabbles in babysitting. **Update! 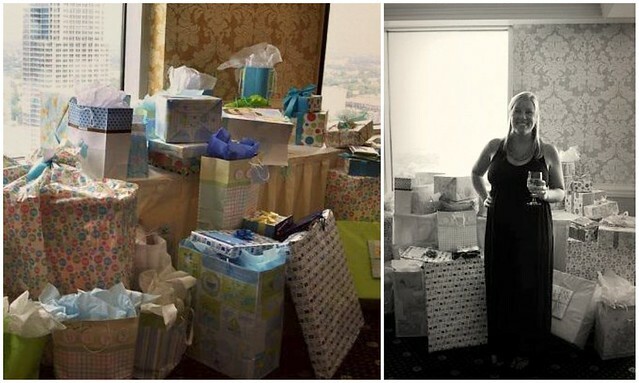 ** Here are some pictures from Kelly's baby shower!